This is PCB update time. Few days ago I shared two projects made on veroboard. In these days, I have developed PCBs for those. I have used free version of Cadsoft Eagle to create these layouts, and you are free to download these and use for making your projects. 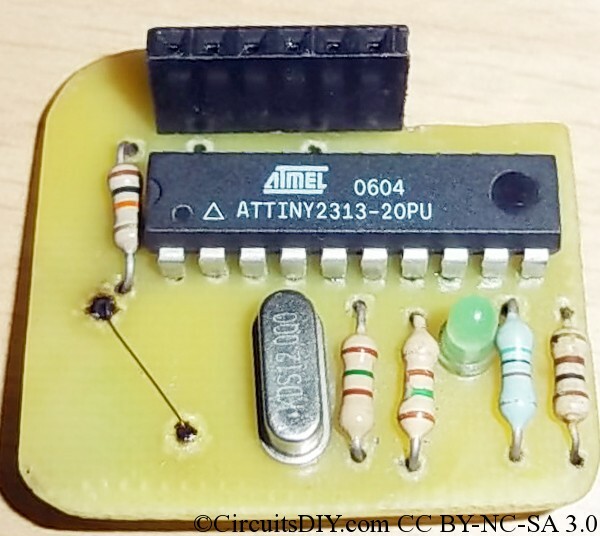 For those who want to know circuit details, click the links above to get details. 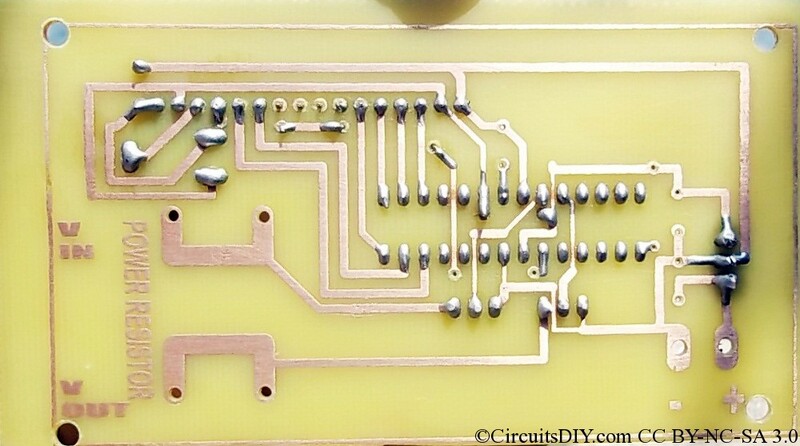 Back side of the finished PCB. Now, front side of the finished PCB with components. I didn’t had a good LCD. I also used higher value resistors for better Amperes resolution. The USB AVR programmer I’d used in this project. Front of the USB AVR programmer below. I used USB mini connector, also as there was enough PCB space in the rectangular cut, I’ve installed a self status LED. This LED glows only when the device initialized USB properly. I also soldered two 22pf (1206) capacitors from crystal pins to ground as recommended by experts. Head to instructables.com, there are many guides for you. 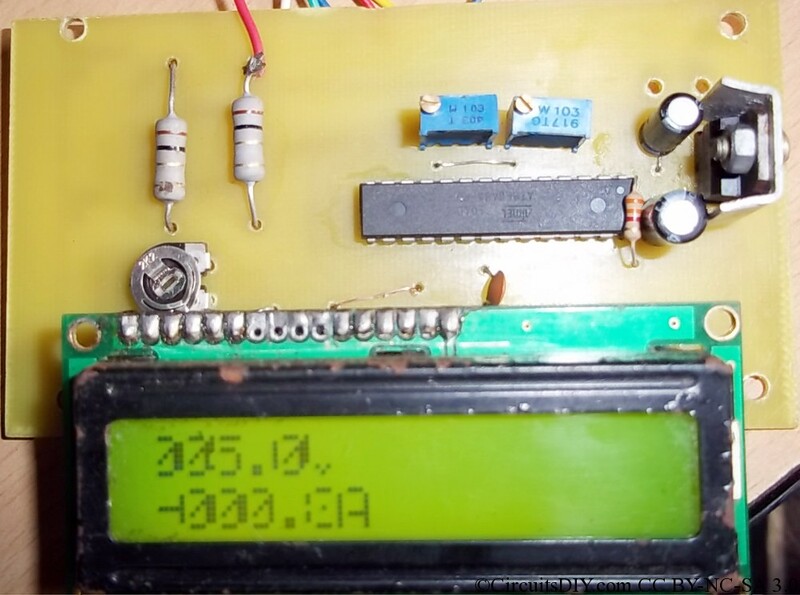 Please woul you like to send me hex file from: Voltmeter Ampermeter based on ATMEGA8. Congratulations for your nice project! I want to build this Meter for my personal use. Pls. 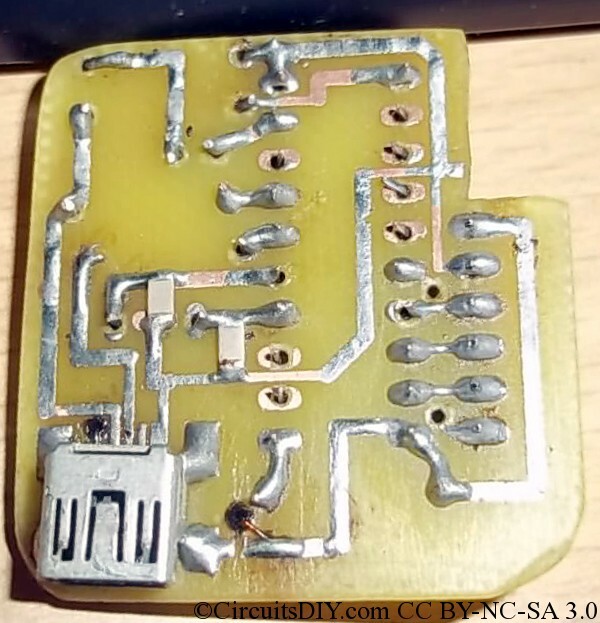 could you send me PCB art work including Hex file? Please does HEX file is same whit this version of VM-AM. Or do I have to use another one? I am here on time again. file. My question again is same like before few weeks ago. Where I will find HEX file from this project. I hope that you will find few minutes time to answer me.